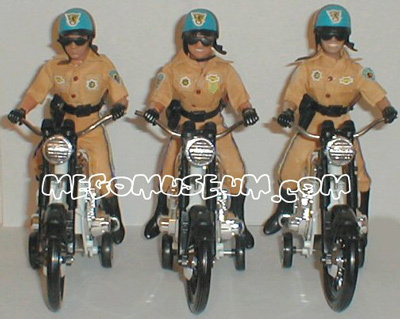 The popularity of the show sold quite a few of these things for Mego between during their final sad 2 years. 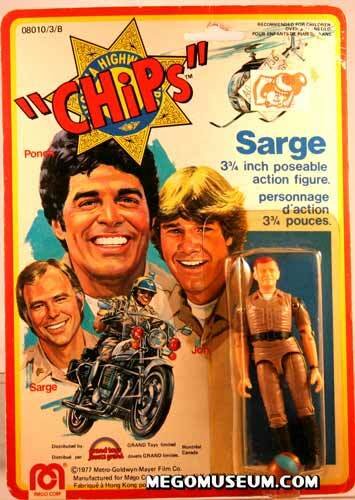 There were no villians in the 8: line although Mego had proposed adding Chopper from the Starsky and Hutch line, buyers balked. 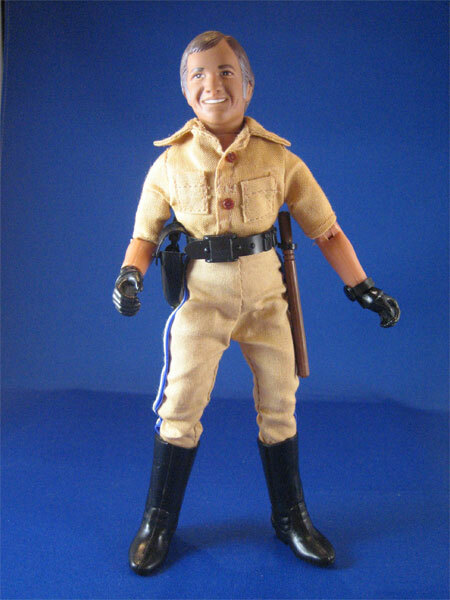 This is the actual head prototype for the never produced 8″ Chips Officer Steve McLeish action figure. 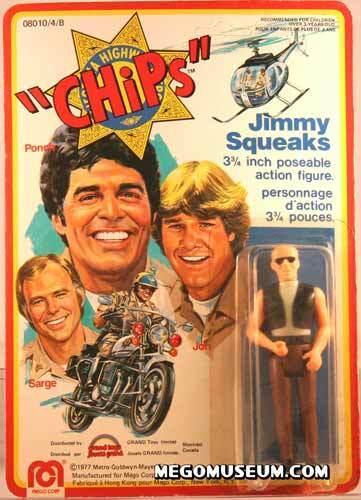 In 1981, Bruce Jenner had joined the cast of Chips, and Mego was all set to issue a figure when Jenner left the show. 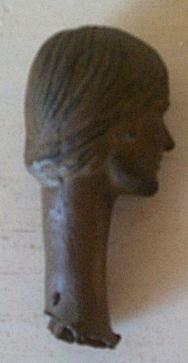 This is the head test shot made of bronze, from a sculpt by Dana Green. 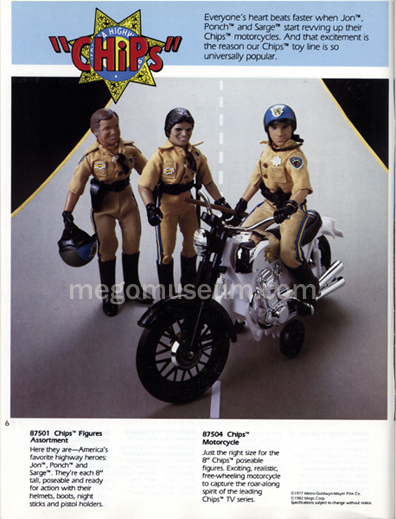 You get a lot of cool stuff with your Mego CHIPS figure. 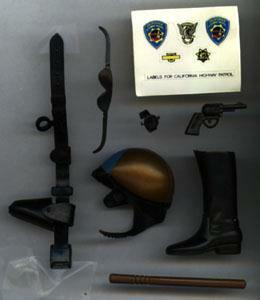 Gun belt, sunglasses, insignia stickers, watch, gun, helmet, cop-boots, and baton. 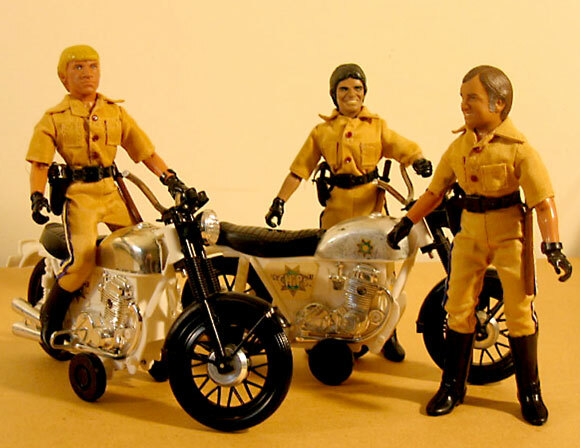 Mego also marketed a bike luancher set similiar to the Evel Knievel sets that were very popular in the mid seventies. 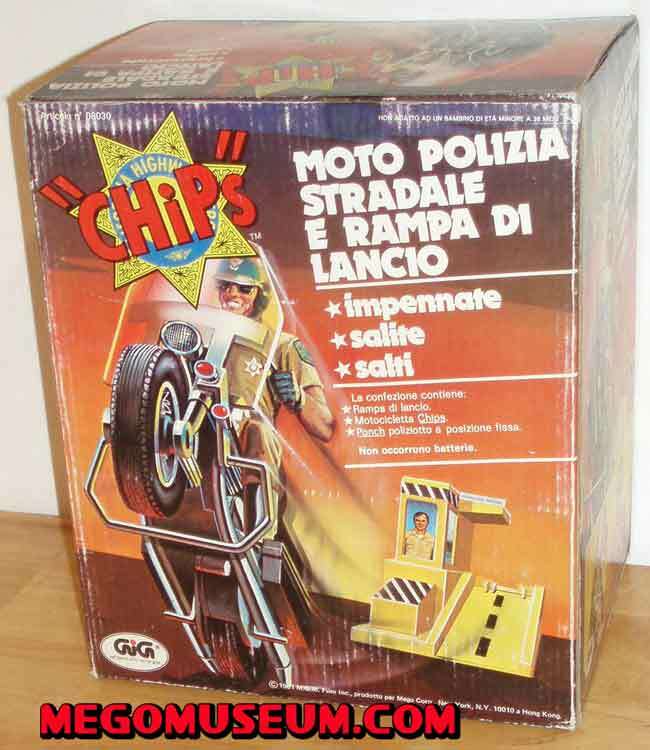 This particular set is from Italy and is courtesy of Olmo Giovannini. 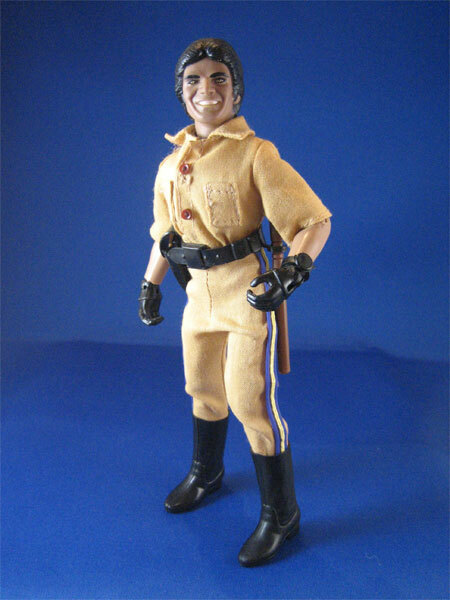 Zombie grey, but Erik, with his odd yellow eyes can become especially creepy. 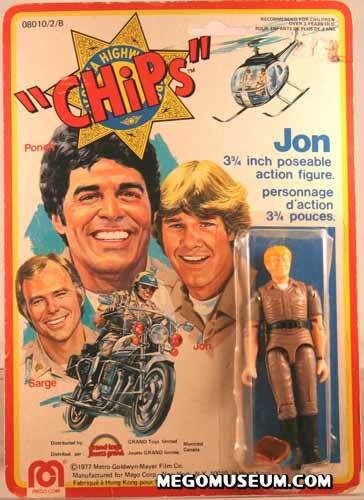 The Jon doll based on actor Larry Wilcox. The Sarge figure presents a very good likeness of veteren actor Robert Pine. 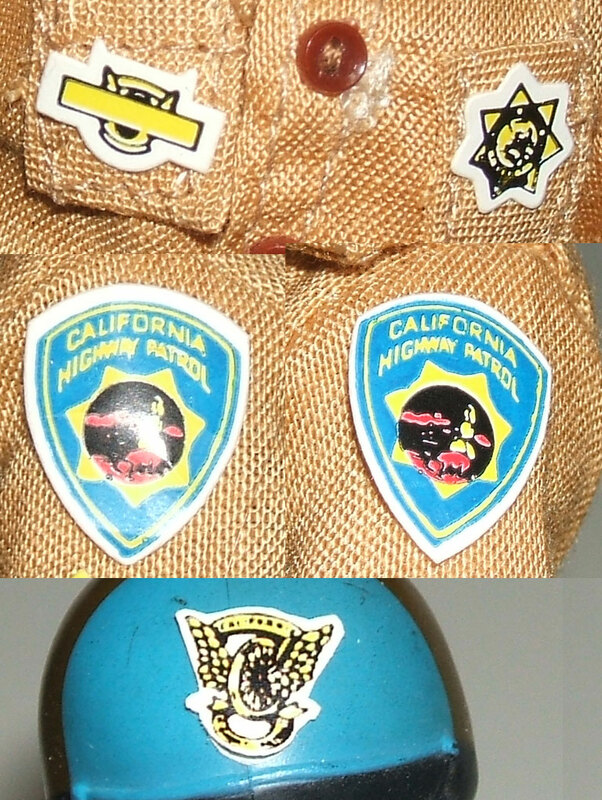 All three Chips figures came with the same helmet of blue and gold. 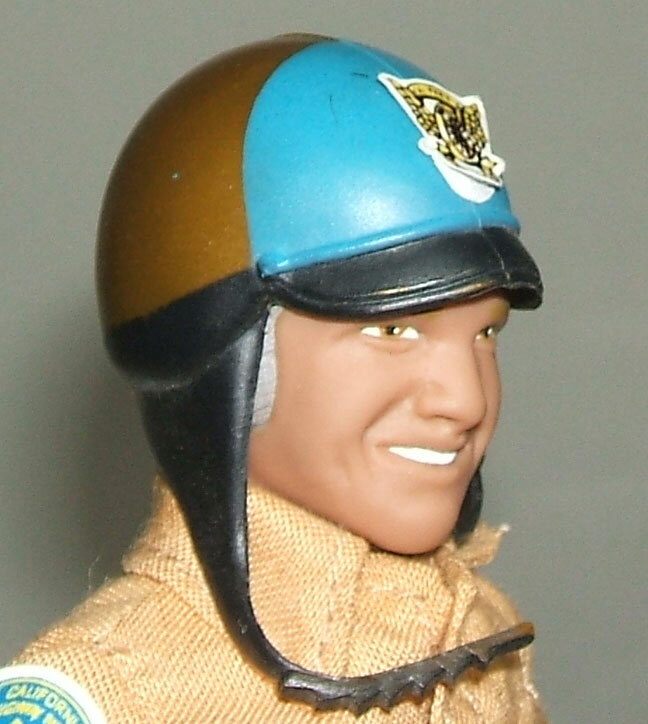 The helmet is subject to fading so the colors vary. This helmet has not been factory reproduced. 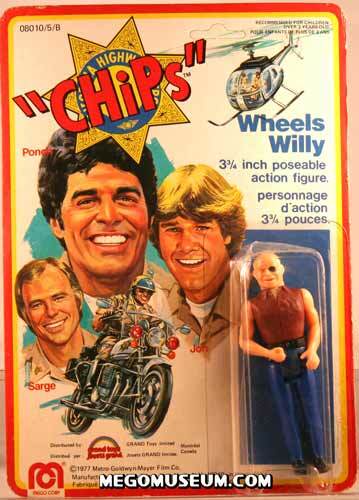 Billy Club, Night Stick, Baton, whatever you want to call it, all three Chips figures carry the same club. 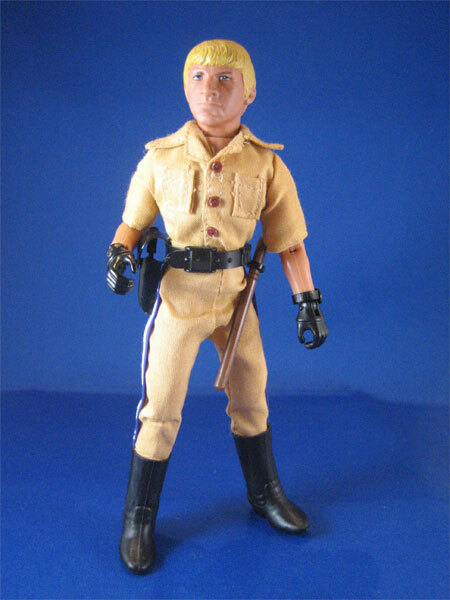 This club has not been factory reproduced. 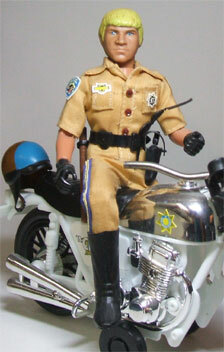 The Chips figures come with a utility belt that has a holster for their pistol and a holder for their club. 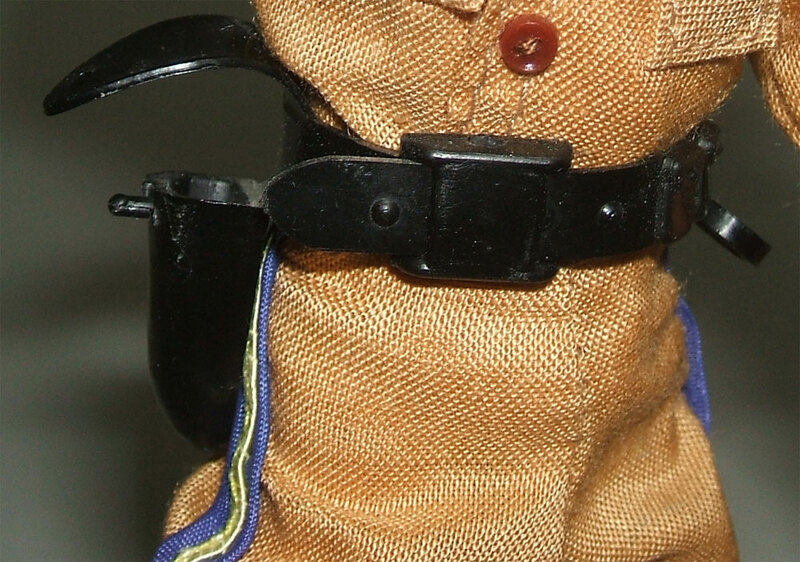 This belt has pockets molded on it and has not been factory reproduced. 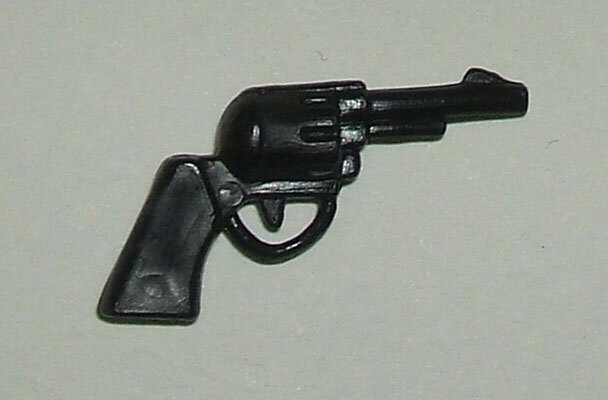 The Chips figures carry a black pistol unique to the line which has not been factory reproduced. 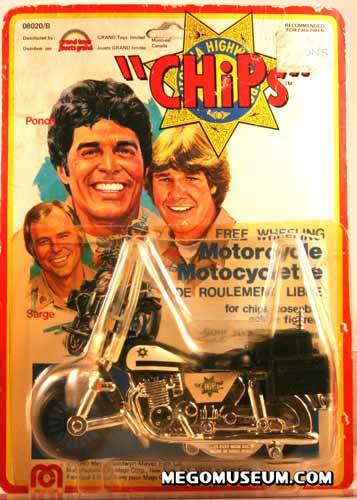 When you graduate from Chips school, you get issued your standard tough guy cop sunglasses and the characters in this line all have them. 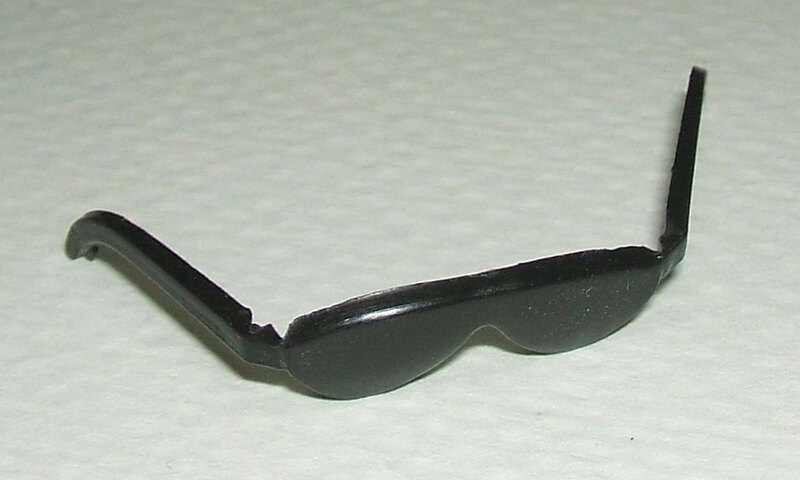 They are solid black and have not been factory reproduced. 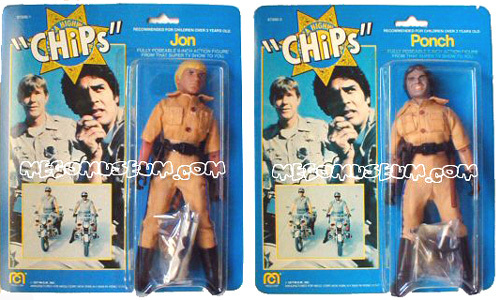 The Chips characters come with a black wrist watch that has not been factory reproduced. 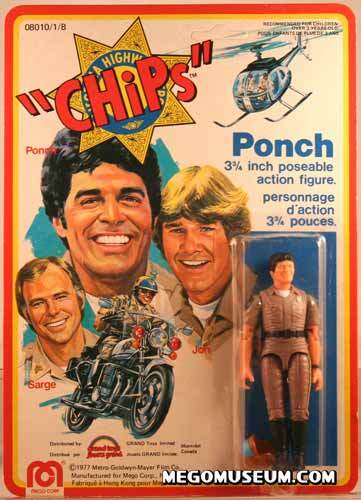 Jon and Ponch come with a 5 piece sticker sheet featuring a badge, generic name tag, shoulder patches and helmet sticker. 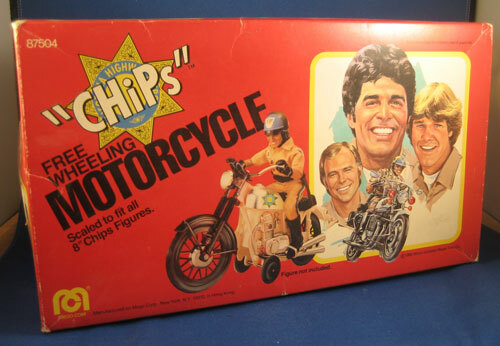 These do not come pre-applied to the characters, they come on a sheet. The stickers have not been factory reproduced, but there are a lot of high quality home printed sticker sets floating around. All the Chips figures wear the same boots and they are unique to the line. Well, kind of. 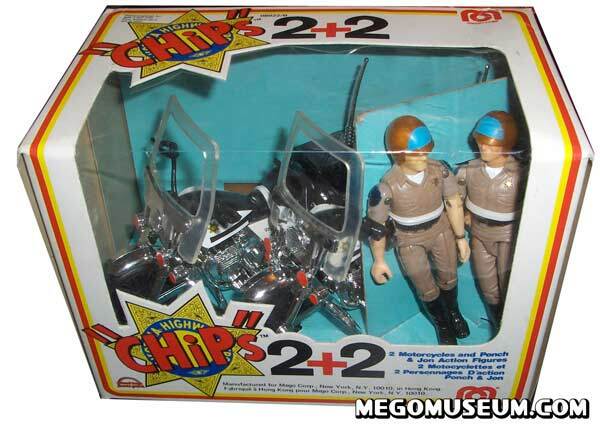 They are cut off Klingon boots, but the factory cut off boots only appear on the Chips figures. 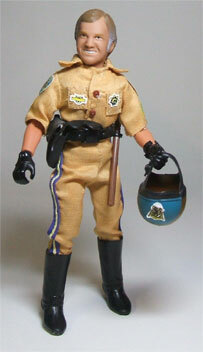 These boots have been reproduced by Cast-A-Way Toys. 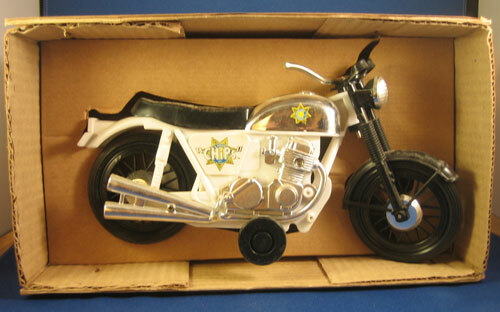 The reproductions are a much different material than the originals. 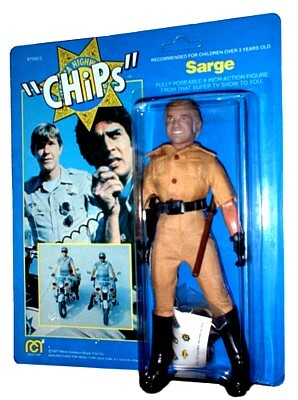 The originals are a firm plastic. 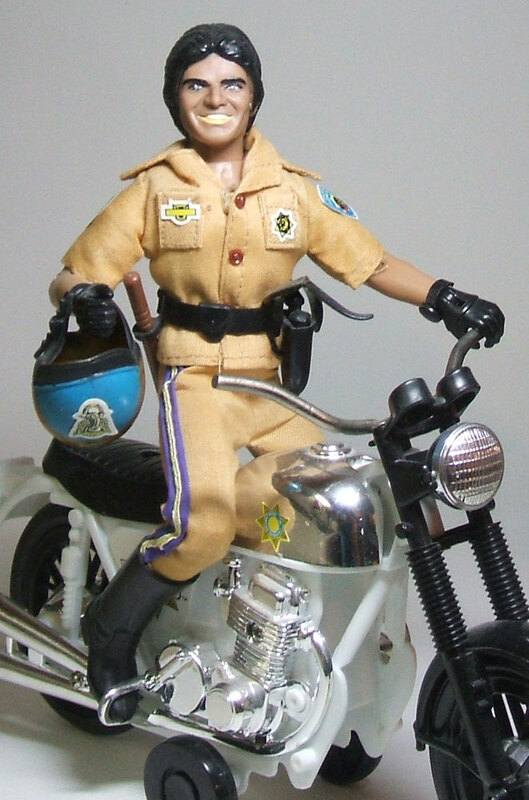 The reproductions are a soft rubbery material and thicker. The repro’s are also much more flat black than the originals. They are marked CAT on the bottom. Also pictured are photoshop similated cut off Klingon boots. 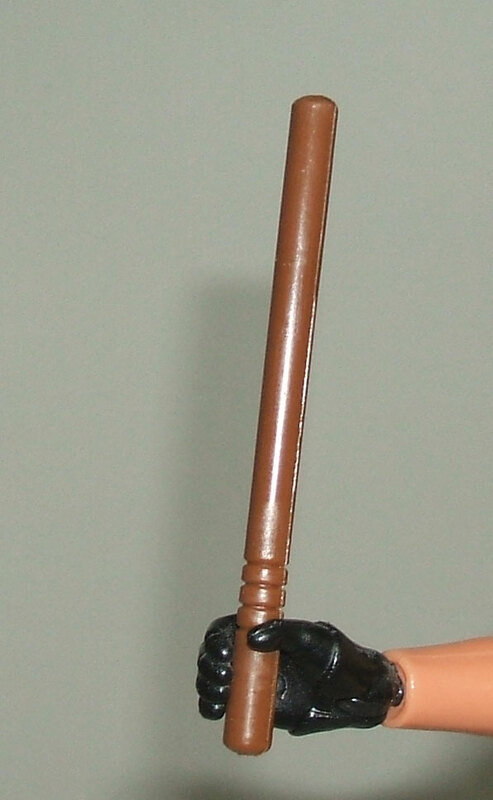 By cutting off the tops of original Klingon boots, an almost factory Chips boot can be made. 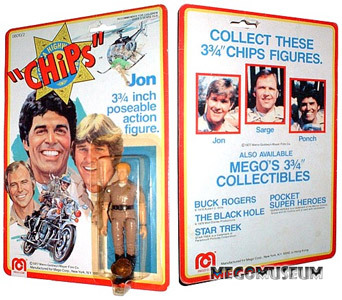 Classic TV Toys has reproduced the Klingon boot and they can be cut off to create the Chips boot as well. 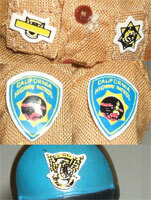 The CTVT boot has a rough texture to them, and they are marked CTV on the side. much of this was the appeal to the 8″ line.